U.S. 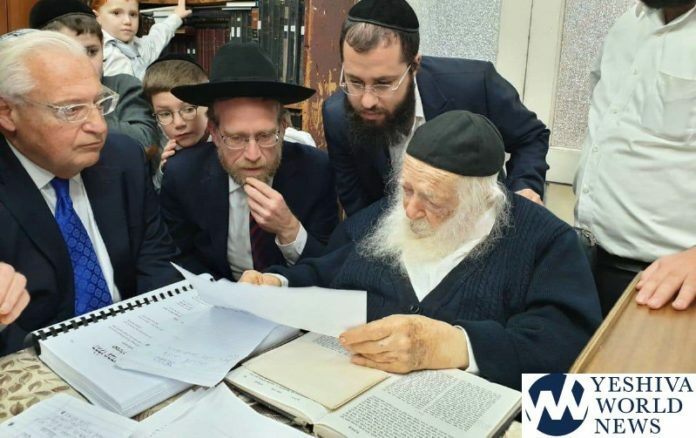 Ambassador David Friedman visited two Gedolei Hador in Bnei Brak on Wednesday, HaGaon HaRav Chaim Kanievsky and HaGaon HaRav Gershon Edelstein. Friedman was accompanied by Yitzchak Pindrus, who recently dropped out of the mayoral race for the city of Elad. 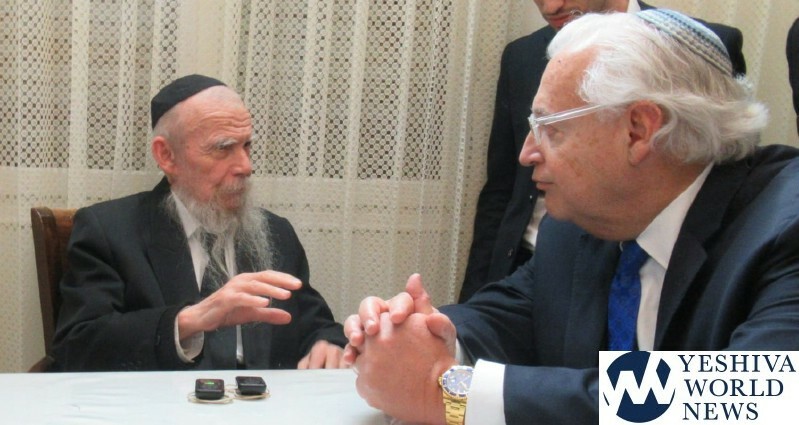 The visit lasted for several minutes during which the Gadol Hador asked Friedman about the state of U.S. Jewry and how Friedman was acting to help them as well. Friedman then asked the Rosh Yeshiva for a Bracha that President Donald Trump should be successful in his campaign for re-election in 2020. As a resident of New York State with decades of involvement and support for yeshivos (both in NY and EY), Friedman is free to express his opinions on state government policy issues in his capacity as a private citizen.